Black Wine Chiller (P/N 70604). You don't need a freezer or fridge with this user-friendly wine cooler—just rinse in water for a minute or 2 before use, and the cooler will keep wine chilled for 2 to 4 hours, no refrigerator required. The black terra cotta cooler is stylish and versatile enough for the pool or the dinner table. The polished black base is designed to eliminate drips from falling on your fine furniture. 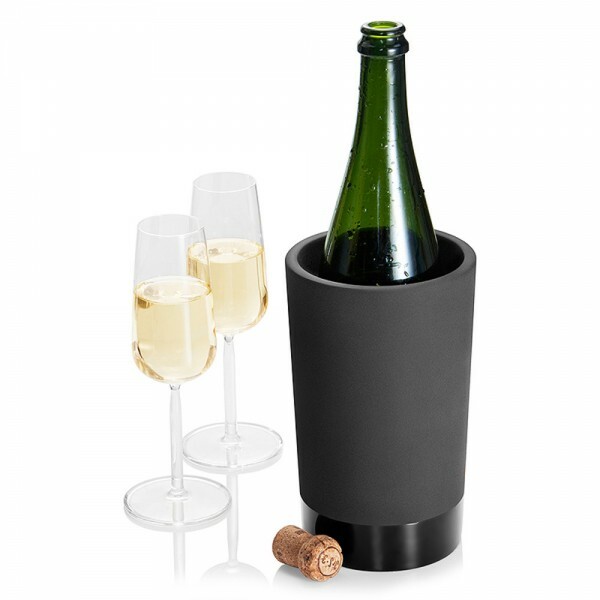 You don't need a freezer or fridge with this stylish wine cooler - just rinse it in water, and as the water evaporates, the terra cotta stays cool - naturally!